Patients with sight loss and depression are “routinely overlooked” according to a new study by Guide Dogs and Cardiff University. 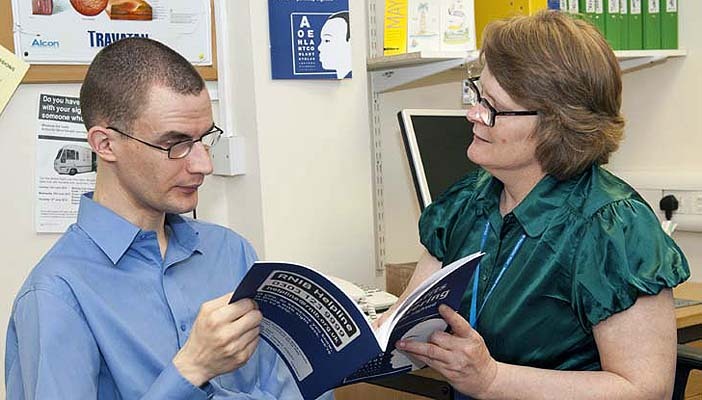 The findings revealed that nearly half of people attending NHS low vision clinics for help with sight loss suffer from symptoms of clinical depression – but they are not being diagnosed or given the treatment they need to address this. According to the Depression in Visual Impairment Trial (DEPVIT), 43 per cent of people who lose their sight go on to battle depression, one of the highest rates for any health condition or disability. NHS low vision services focus only on physical needs, and psychological screening or therapy is not yet an integral part of rehabilitation. The study also found that of those who screened positive for depressive symptoms, 75 per cent were not receiving any treatment for their depression. The research commissioned by Guide Dogs and led by a team of researchers from Cardiff University, found that diagnosis and treatment for depression for people attending low vision clinics is “routinely overlooked”. This lack of support prevents those living with sight loss from accessing vital treatments and services that could help build confidence to live full and independent lives, the researchers believe. Both organisations are seeking to develop the research further aimed at developing a model to cover treatment. model of treatment. This second phase will see mobility instructors, who work with people living with sight loss, trained to help people out and about independently, and to deliver ‘stepped care intervention’, which has been successfully trialled in Holland. Stepped care involves assessing a person’s needs in order to provide the right treatment at the right time, and ‘stepping up’ this treatment should it need to increase in intensity. The funding application for this second phase is currently being considered by the National Institute for Health Research.